Julius Johannes Ludovicus Payer (2 September 1841, – 29 August 1915), ennobled Ritter von Payer in 1876, was an officer of the Austro-Hungarian Army, mountaineer, arctic explorer, cartographer, painter, and professor at the Theresian Military Academy. He is chiefly known for the Austro-Hungarian North Pole expedition in 1872–74 and the discovery of Franz Josef Land. Born in Schönau, Bohemia, his father Franz Anton Rudolf Payer was a retired officer of the Austrian Uhlans who died when Julius was only fourteen. His mother was Bladine, née John. Payer attended the k.k. cadet school in Łobzów near Kraków, Galicia (present-day Poland). Between 1857 and 1859 he studied at the Theresian Military Academy in Wiener Neustadt. From 1859, Payer served as a sub-lieutenant with the Austrian 36th infantry regiment in Verona, Venetia. He participated in the disastrous Battle of Solferino on 24 June 1859 and was honoured for his service. After promotion to the rank of lieutenant first class, he was posted to the garrison of Chioggia, Venetia in 1864. On 24 June 1866 he served the Battle of Custoza, seizing two guns, for which he was decorated and elevated to the rank of senior lieutenant. Since 1863 Payer was assigned as a history and geography teacher to the cadet school in Eisenstadt, Hungary and to the Theresian Military Academy. In 1868 the Austro-Hungarian Minister of War appointed him a general staff officer at the k.k. Military Geographic Institute in Vienna, where he worked with August von Fligely. In 1862 Payer had started exploratory tours of the Tyrolean Alps and the High Tauern range in his free time. After 1864 he explored the Adamello-Presanella Group and the Ortler Alps, making more than 60 first ascents. In 1864 he was, with his guide Giovanni Caturani, the first to climb Adamello (3,554 m) and missed making the first ascent of the Presanella (3,558 m) by just three weeks. All his explorations in the Ortler massif (from 1865 to 1868) were guided by de:Johann Pinggera from Sulden. Together, often accompanied by a porter, they ascended almost all significant unclimbed summits, including the Hoher Angelus (3,521 m), Vertainspitze (3,545 m), Palon de la Mare (3,703 m), Monte Zebru (3,735), and Monte Cevedale (3,769 m). Their new approach to the Ortler (3,905 m) became the normal route of ascent ever since. His tours resulted in creating a detailed topographical map at a scale 1:56,000. Due to his achievements, Payer was transferred to the Austrian Military Geographic Institute. When in 1875, the first Alpine club hut above 3000 m was built on the normal route to the Ortler, it was named de:Payerhütte in his honor. In 1868 he was invited by the German geographer August Petermann to participate in the 2nd German North Polar Expedition as a topographer. Travelling to the coast of East Greenland on the Germania under Captain Carl Koldewey in 1869-1870, they reached as far north as Shannon Island. In 1871 he participated in the preliminary Austro-Hungarian expedition to Novaya Zemlya, with Karl Weyprecht. From 1872-1874 Payer led the Austro-Hungarian North Pole Expedition with Karl Weyprecht, who was Commander at sea, while Payer was Commander at shore. During this voyage he made the discovery of Franz Joseph Land, however upon his return to Vienna many critics voiced doubts about its existence and about the experiences of other participants in the expedition. Payer could have proven his statements using testimonies, diaries and sketches, however his efforts were thwarted, including his promotion to Captain. In 1874 he resigned from the army because of political maneuvers against him and his brother officers' doubts about his discovery and his sledge journeys. He was awarded 44 Austro-Hungarian gulden on 1 October 1874 for the discovery of Franz Joseph Land (about equal to the monthly salary of a Sub-lieutenant at the time). He was also awarded the 1975 Royal Geographical Societys Patron's Gold Medal. 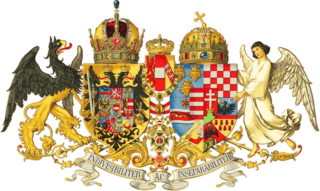 However, on 24 October 1876 he was elevated to the Austrian nobility which entitled him and his descendants to the style of Ritter von in the case of male and von in the case of female offspring. In 1877 Ritter von Payer married the ex-wife of a banker from Frankfurt am Main. They later had two children, Jules and Alice. From 1877-1879 he studied painting at the Städelsches Institut in Frankfurt / Main. From 1880-1882 he continued his study of art at the Akademie der bildenden Künste in München. From 1884-1890 he worked as a painter in Paris. In 1890 he divorced his wife, returned to Vienna and founded a painting school for ladies. In 1895 he planned a trip for painting to Kejser Franz Joseph Fjord in northeastern (Greenland). In 1912 he planned (at the age of seventy) an expedition in a submarine to the North Pole. He died in Veldes, in historic Upper Carniola, today part of Slovenia, in 1915. Besides the Payerhütte mentioned above and several streets in Vienna, the main island of Franz Josef Land (Payer Island), the Payer Mountains in Antarctica and Payer Land in eastern Greenland have been named after Julius von Payer. The southern satellite camp for the PolAres MARS2013 analog mission by the OeWF, approximately 80 km south of the base camp near Erfoud, Morocco, was named Station Payer during February 2013, after the main base camp had been called Camp Weyprecht during the landing ceremony in the morning of February 11, 2013. The Austro-Hungarian polar expedition led by Julius von Payer was selected as main motif for the Austrian Admiral Tegetthoff Ship and The Polar Expedition commemorative coin minted on 8 June 2005. The reverse side of the coin shows two explorers in Arctic gear (one of them resembling von Payer) with the frozen ship "Admiral Tegetthoff" behind them. Karl Weyprecht, also spelt Carl Weyprecht, was an Austro-Hungarian explorer. He was an officer in the Austro-Hungarian Navy. He is most famous as an Arctic explorer, and an advocate of international cooperation for scientific polar exploration. Although he did not live to see it occur, he is associated with the organisation of the first International Polar Year. Ludwig Ritter von Höhnel was an Austrian naval officer and explorer. He was trained at the naval academy in Fiume, then part of the Austrian empire. His brother was the naturalist Franz Xaver Rudolf von Höhnel (1852–1920). Wilhelm von Tegetthoff was an Austrian admiral. He commanded the fleet of the North Sea during the Second Schleswig War of 1864, and the Austro-Prussian War of 1866. He is often considered one of the best naval officers of the 19th century, due to his tactical inventiveness, sense of command, and inspirational leadership. The Natural History Museum Vienna is a large natural history museum located in Vienna, Austria. and one of the most important natural history museums worldwide. The Austro-Hungarian Army was the ground force of the Austro-Hungarian Dual Monarchy from 1867 to 1918. It was composed of three parts: the joint army, the Imperial Austrian Landwehr, and the Royal Hungarian Honvéd. Ortler is, at 3,905 m (12,812 ft) above sea level, the highest mountain in the Eastern Alps outside the Bernina Range. It is the main peak of the Ortler Range. It is the highest point of the Southern Limestone Alps, of the Italian province of South Tyrol, of Tyrol overall, and, until 1919, of the Austrian-Hungarian empire. In German the mountain is commonly referred to as "König Ortler", like in the unofficial hymn of South Tyrol, the Bozner Bergsteigerlied. Presanella is a mountain in the Adamello-Presanella range of the Italian Alps of northern Italy. Presanella has an elevation of 3,558 meters and is located in the Adamello Brenta National Park within the Trentino province of Italy. From the 17th century through to the 19th century, the Habsburg Monarchy, Austrian Empire, and Austro-Hungarian Empire attempted to profit from colonial trade through the acquisition of colonies and trade routes. All attempts were ended due to international pressure, or lack of interest and support from the Imperial government. Anton Schrötter von Kristelli was an Austrian chemist and mineralogist born in Olomouc, Moravia. His son Leopold Schrötter Ritter von Kristelli (1837–1908) was a noted laryngologist. Salm Island is a roughly round-shaped island in Franz Josef Land, Arkhangelsk Oblast, Russia. Payer Island is an island in Franz Josef Land, Russia. Elling Carlsen was a Norwegian skipper, seal hunter and explorer. He is credited with the discovery of Kong Karls Land and was one of the crew of the 1872 Austro-Hungarian North Pole Expedition. He is also known for the 1871 discovery of the lodge of Willem Barentsz, which had stood for 270 years since Barentsz sheltered there on his third and final voyage. Maximilian Daublebsky Freiherr von Sterneck zu Ehrenstein was an Austrian admiral who served as the chief administrator of the Austro-Hungarian Navy from 1883 until his death. Count Johann (Hans) Nepomuk Wilczek was an Austrian arctic explorer and patron of the arts. He was the main sponsor of the Austro-Hungarian North Pole Expedition in 1872–74. Adamello is a mountain in Lombardy, Italy. With an elevation of 3,539 metres (11,611 ft), it is the second highest peak of the Adamello-Presanella Alps. It is located in Valcamonica, Lombardy. Schoenau Island or Schönau Island is an island in Franz Josef Land, Russia. Cape Weyprecht is a headland in the northeast part of Spitsbergen in Svalbard, in the area known as Olav V Land.